After harvest, the gourds are left to ferment; the fermented flesh is then washed off the seeds. The seeds are then dried and the light brown husks removed by hand or mechanically. When ready to be used in food recipes, the white/cream seeds are ground into powder and used as soup thickener. Egusi seeds are in a class of their own and should never be mistaken for pumpkin seeds. Here's how to prepare the popular Nigerian Egusi Soup using the fried method. The most traditional way to cook Egusi Soup. Egusi Seeds are available all year round. This is because after it is harvested, it is dried and in this state, it can be stored for a very long time. They are cultivated during the beginning of the rainy season, in the months of April through June and harvested at the onset of the dry season, in the months of October through December. Melon seeds properly stored with the shells can last for very long periods of time. It is best stored in air-tight containers. This is to keep out weevils and moisture. If the melon seeds are shelled, they do not last as long because in this state, it is easier for them to pick up moisture and become mouldy. Ground melon seeds should be used immediately but if stored in very cold temperatures, it can last up to a month and still retain its taste. 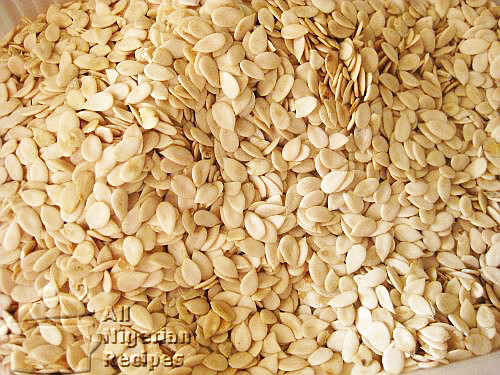 Egusi (melon) seeds are readily available in the open Nigerian markets or African food stores all over the world. When buying egusi in the open Nigerian markets, you should check for dust. If the seeds are dusty, it means they have been in storage for too long. It is best to buy melon seeds harvested from the year before because this ensures that they are very dry. Newly harvested melon seeds are not the best for preparing Egusi Soups because they are not so dry yet and may cause indigestion. 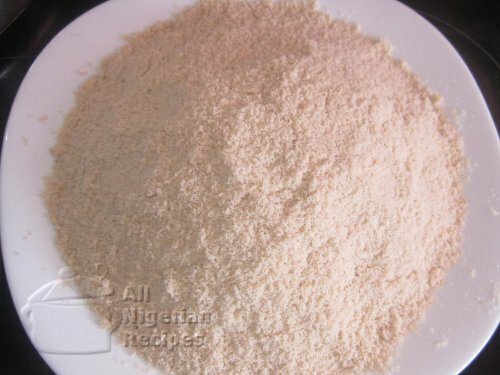 Egusi seeds are rich in oil and protein thereby making them a dietary supplement.